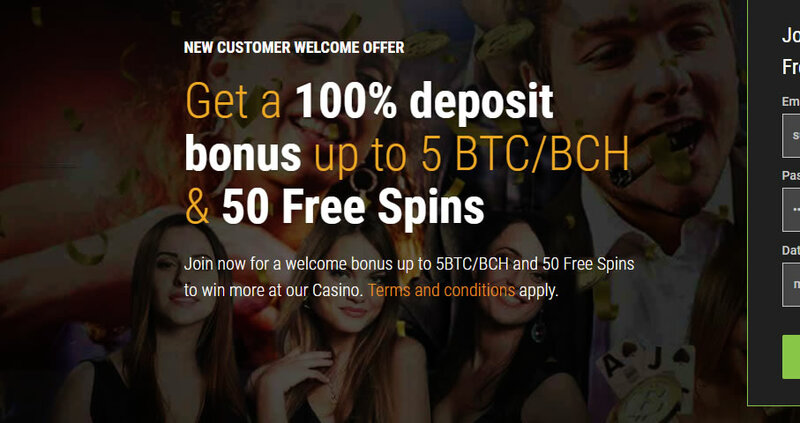 Cloudbet is a bitcoin online casino and bitcoin sportsbook that offers a lot of betting options and only accepts this cryptocurrency for payment. Cloudbet is a good example of a betting site that stands out from the crowd by being a bit different. They’ve been running since 2013, so they’ve had years to develop their strong reputation. While there have been their fair share of complaints and allegations of scams, issues have been resolved. The modern casino and sportsbook theme is perfect for this site, and it’s very welcoming for players as well. Is CloudBet Legit? Honest, Fair and Payout? Since 2013 Cloudbet has maintained an extremely clean reputation. They’ve paid players who’ve won, offered fair games and honored timely cash outs. Recently on Bitcointalk.org’s mega Cloudbet thread there have been some increased complaints of slow withdrawals and issues. However as time has told so far the book appears to be legit. Of course always do your own due diligence. Don’t deposit more than you can afford to lose. Also keep in mind that once you deposit you are required to bet before withdrawal. The biggest issue I see with people claiming that ‘cloudbet is a scam!’ is when you accept a deposit bonus and can’t withdraw because of the terms and conditions of the bonus. Always read the fine print carefully. The online casino side of the operation is powered by BetSoft. They offer 700+ casino games and boast some of the higest overall limits for gamblers. This software company is considered by industry experts to be one of the best because of their incredibly high-quality games and how easy it is to play with their software platform. If you’re a desktop player, you’ll be able to log in from just about any type of computer as long as you have a connection and an updated browser like Firefox, Chrome or Internet Explorer. Computers that run Mac or Linux can connect and play just as easily as those that use Microsoft Windows, so you’ll have plenty of options for getting in on the action. On the mobile side, they also make it easy to get in with your favorite games. While some sites have mobile apps that only give you a few games to play, almost all of the titles in the Cloudbet online casino can be played via tablet or smartphone. Players who use mobile devices with Android, Blackberry, iOS or other popular operating systems can log in with their mobile web browser and get started right away. There’s no app to download and no software to wait on, so you can play virtually immediately after logging in. 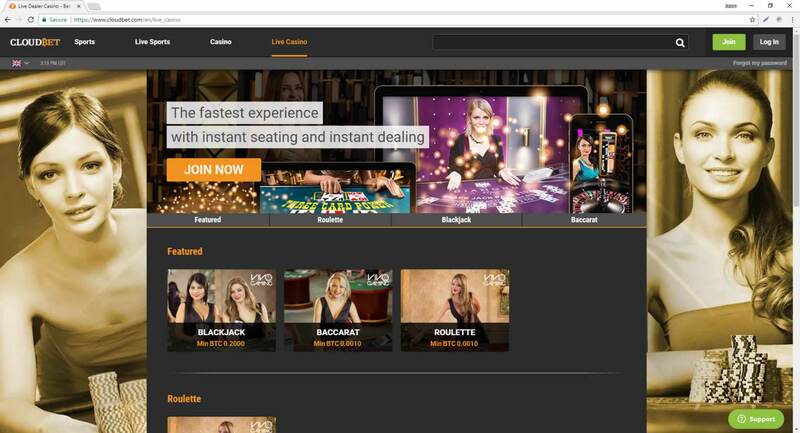 This site also has live dealer games available. This selection includes blackjack, Baccarat and roulette. All of the live dealer games are played in real time with actual human dealers, and they’re broadcast to you over high definition video feeds. 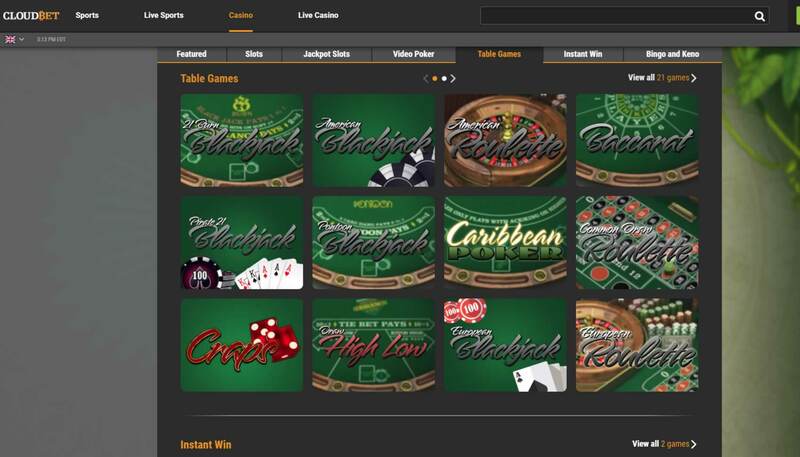 The main bulk of the online casino games available at Cloudbet comes in the form of slots. BetSoft’s main line of slots is called Slots3, and it’s full of 3D games that have absolutely beautiful presentations. They also have a number of classic slots outside of the Slots3 lineup as well. Together, this mix makes for one of the best collections of online slots that you can get from one software provider, and because they cover so many themes and types of features and gameplay, players have no issues with finding games that fit exactly what they’re looking for. Aside from the live dealer tables, they have a number of regular table games as well. These games don’t use 3D graphics, but they are all designed to have terrific presentations. In the Cloudbet sportsbook, players have tons of the most popular sports in the world to choose from. Cricket, American football, football (soccer), baseball, basketball, tennis, MMA, boxing and tons of other sports and events can be wagered on. In the mobile interface, it’s important to note that the menu system is a little different than on desktop. This is necessary to keep players from “getting lost” in the huge number of betting options that Cloudbet has available. You’ll choose your sports first, and next comes your specific league. From there, other options to narrow down the markets you are viewing will be available just depending on which sport you’re taking a look at and how many games or matches are available for betting. The idea is to make it as clear and simple for mobile users as possible. The way it works is that you’ll watch a sporting event in progress and have various options for placing bets on what’s going on in the immediate moment. For example, you can place bets on things like who will score next or who will draw a foul next in the game. It’s a much more exciting way to bet than traditional, odds-based betting on the result, but both ways can be combined to give you a great overall experience. The only banking option used at Cloudbet is bitcoin and bitcoin cash (BTC and BCH). You’ll be able to make both deposits and withdrawals in bitcoin, and they have a good history of paying out withdrawals pretty quickly after they are requested as well. If you aren’t familiar with how to use bitcoin to the point of being comfortable with it, their support team will have no problem with walking you through the steps to make sure that you can get in on the action as quickly and simply as possible. The support team is most easily contacted through the live chat service. This is an instant messenger-like service that runs from your smartphone, tablet or computer, and it opens in your web browser on all platforms. Players also have the ability to send off a simple email for assistance. The selection of 3D slots is tremendous, representing some of the best games in the genre in the industry. The live dealer tables allow you the closest experience possible to playing in a brick-and-mortar casino without leaving home. Having both casino and sports betting options in once place makes it easier to manage all of your play from one account. Players will not have a telephone support option available, which will be an issue for a minority of people who really prefer it over the simple live chat service and email. Cloudbet works as a one-stop bitcoin betting shop type of site, and they have a lot to offer players along these lines. They also have good service and a great selection of games and betting options. Overall, this is a good place to get in on the action if you prefer casino play, sports betting or both at the same time.